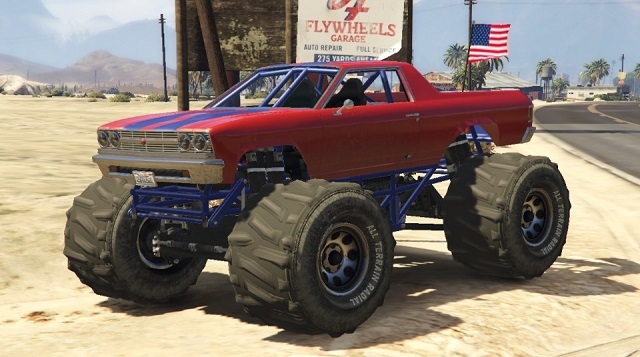 The Cheval Marshall is an off-road monster truck in GTA 5. It made its first appearance as part of the Next Generation GTA 5 on PS4 and Xbox One. It is exclusive for players who have played GTA 5 on the original PS3 or Xbox 360 version and play it again on Xbox One, PlayStation 4, or PC version. It is a monster truck variant of the Cheval Picador. The Cheval Marshall is based on the Holden HJ Kingswood Utility and Chevrolet El Camino, built over a custom monster truck chassis. It features increased ground clearance to make way for the over sized-wheels, as well as a tubular body. In comparison to The Liberator, both have nearly identical performance, with the only exception being that the Marshall has marginally better handling (as evidenced by statistics bars). However, the top speed on both vehicles is sub-par, making handling not much of a problem, and thus making both vehicles essentially perform the same. 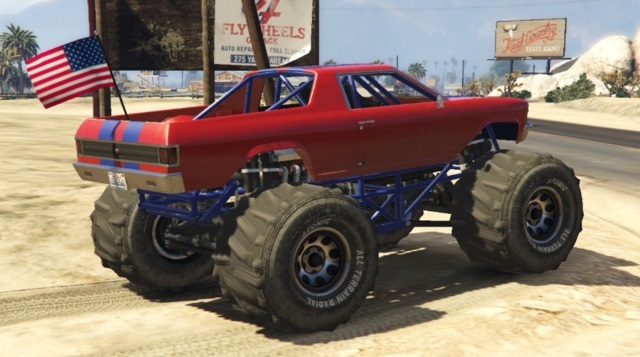 Can be selected as a special vehicle at Sandy Shores Airfield hangar after completing the Stock Car Races five times. 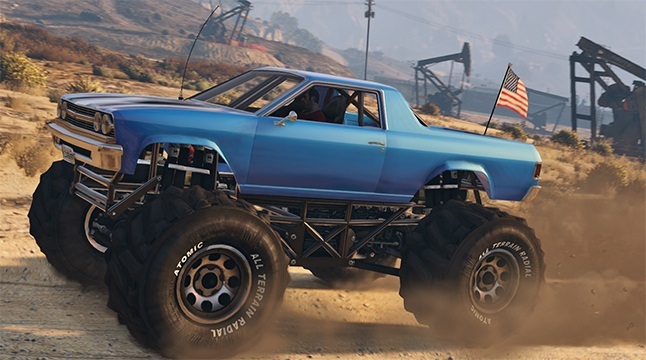 The Monster Truck can be bought on Warstock Cache & Carry for $250,000 in Story Mode and for $500,000 in GTA Online.